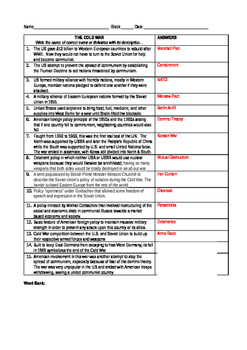 This worksheet focuses on the major terms and events of the Cold War. 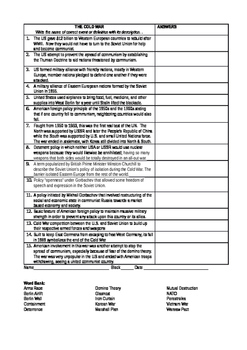 This was designed for a Word History II course, using VA SOL 13, but works for US History as well. 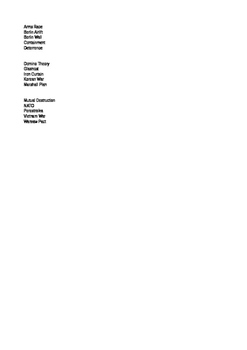 Key terms are deterrence, arms race, mutual destruction, etc.